Dirty Electricity - Should You Install Filters In Your Home? About three years ago I attended a presentation on electrosensitivity organized in the UK. I was already pretty savvy as to the dangers and consequences of cell phone radiation, having lived it firsthand. After the presentation there were several people holding stands selling various EMF meters, detectors and shielding materials. It was here that I had my first encounter with the notion of dirty electricity (or dirty power). Dr. Martin Graham, -Emeritus Professor of Computer Science and Electrical Engineering, University of California. I was once like most people, I thought that electricity was homogeneous. I thought that you paid for your electricity supply (240 volts or 110 volt depending on what part of the world you live in) and you got electricity. End of story. Well things are not quite as simple as that. Because there is also something called the quality of electricity. That’s to say two houses in the same street can have the same 110 volts (or 230 volts) running through their internal wiring system, from the same source, but the quality of electricity can vary by multiples of 10 or even 100. The variation occurs because of very brief irregular changes in the voltage, known as ‘transients’. They can be caused by external sources such as cellphone masts, or by internal sources, like your own electrical equipment. This dirty electricity can be measured by using a GS or STETZERiZER® Microsurge Meter. What Do Stetzerizer Filters Do? Stetzerizer® Filters are a means of transforming dirty electricity back into good quality power. They filter out electromagnetic pollution in the range 4 to 150 Khz (that which Russian research has shown to be the most dangerous) carried in your power supply. The human body is an electrical being. All the cells, tissues and organs in your body communicate with each other via small electrical currents. Dirty electricity perturbs these communications which makes the body vulnerable to disease. Studies show that there is a biological impact to electromagnetic pollution. Cell phone towers and cell phones produce one form of this pollution, but dirty electricity produces another. Just as deadly. Dr. Samuel Milham in his book “Dirty Electricity : Electrification and the diseases of civilization ”. defines dirty electricity as high frequency voltage transients on electrical wiring. Dr. Milham analyzed death records from electrified and rural areas in the early part of the 20th-century and compared them with statistics from areas where there was no electrification. He discovered a correlation between electrification and such diseases as cancer, diabetes, heart disease, suicide, neurodegenerative disease. He found that where electricity had been introduced the disease rates were much higher. I think it could well be that many of the problems associated with cell phone towers and radiofrequency radiation are in fact, as Sam Milham suggests, due to the RF radiation being carried down the power lines. Do You Need To Install Stetzerizer Filters? If the answer is yes to the above three questions then it is quite likely that your dirty electricity levels will be high and you need to test. First, you measure the level of dirty electricity in your home with a GS Microsurge meter with EVERYTHING switched off and unplugged in the house. Then compare the reading to that when everything is switched on. This will tell you whether the dirty electricity is coming into the house from the outside. If the GS levels are high with everything switched off and unplugged then the source of the problem is external. In which case you need to filter where the supply is entering your home. If the problem is internal you can identify the problem by a process of elimination (see below) and install filters/eliminate the device accordingly. 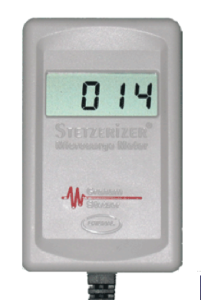 You can purchase a GS Microsurge meter here. Is a Microsurge Meter The Only Way Of Finding Out If I Have Dirty Electricity? One quick and easy way you can get an idea at whether you have dirty electricity in your household wiring is to use an AM radio. Tune your radio to the white noise between the stations and move round your home holding it near your electrical sockets. If your radio gives extra hiss as you are doing this its an indication that there is dirty electricity. With this method, at best this can only detect if you have dirty electricity. You can’t measure it. To be able to do anything meaningful you need to be able to measure your GS levels. And you need to be able to do it on a regular basis because they do fluctuate. With every new appliance you introduce into your home there is a risk that you are creating more dirty electricity. Go through your home. Install filters where necessary particularly in rooms where you spend long periods of time. Interestingly this issue is considered so important in the Republic of Kazakhstan that the country introduced a law in 2003 legislating on the maximum permitted levels of GS units allowed in workplaces. Stetzerizer filters are used commonly to ensure that the GS levels do not go beyond the maximum permitted level of 50 GS units. Will Installing Stetzerizer Filters Guarantee A Healthier Electricity Supply? Not necessarily. Some experts contest that introducing dirty electricity filters can cause unwanted effects. These filters do generate magnetic fields, but at 30 cm these fields are negligible. So as long as you’re not sitting right next to them this is not an issue. 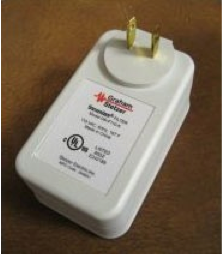 Stetzerizer filters do increase the currents in your house wiring. If your house contains any wiring errors installing filters can generate high magnetic fields, which is counter-productive. The most important thing you can do to create a healthier electricity supply is to eliminate device/s susceptible to be causing the problem (namely things like dimmer switches, compact fluorescents, fluorescents with standard lamps) and notably DECT cordless phones and WiFi modems. You can identify these devices by plugging them in and switching them on one by one, while keeping an eye on the reading given by your Microsurge meter. When you see your readings spike, you can either eliminate the device in question or insert a filter/s. If in doubt about your house wiring get it checked by a qualified electrician. Where Is The Best Place To Buy Stetzerizer Filters? Stezerizer filters are produced in different versions, for different countries. For the US version (120 volts, 60Hz) I recommend this company. They offer good deals on the original Stetzerizer Graham Stetzer filters. If you live in the UK (230 volts, 50Hz), click here. This company sells another brand of filters which are suitable for use in the UK which I have also tested..
You can start by just buying the Microsurge meter and then add filters individually or you can buy the GS filter system which is a pack with 20 filters and the meter. Most importantly, listen to what your body is telling you. If you install filters and find that your symptoms deteriorate, you know that with your current installation filters are not the solution. In 2008, I was working in a large office building as an IT consultant. I had been working on computers all my life, but this was my first time sitting in an office building all day every day. I was 22 years old at the time, and I was experiencing severe fatigue on a regular basis while sitting at my desk in my office. It could be the middle of the day, before or after lunch it did not matter. What I ate or drank did not affect it. I would feel so tired that I felt like I needed to lay down on the floor of my office and sleep. I knew something was wrong. Luckily my best friend mentioned the Stetzerizer filters to me. I did a little research online and ordered the meter and a set of the filters. The reading from the socket on the wall 1 foot from my body was 1650!!! A good reading is 30 or below, and the meter only goes up to 2000. So this was a VERY high and dangerous reading. With 1 filters this went down to about 125. With a second filter it went down to about 65. There were 2 separate circuits going into my office, so I put 2 filters on each circuit. Obviously I could not filter the rest of the building, but filtering just my own personal office was enough to make all the difference in the world. After getting the numbers down from that level, I NEVER felt tired like that again. It was unbelievable what a difference these filters made for me. I’ve been sharing them with everyone I can ever since. I also think that having the filters in my home has made me less sensitive to EMFs in general even when I’m out in public. I would encourage everyone to research dirty electricity and give the filters a chance. You will be glad you did. I’m glad there are people like Dave Stetzer who are finding solutions to this problem and helping us all. I’m also glad that my friend knew about these and shared them with me. I found your website thru the LiveLighter.org health blog and really appreciate all the research you have completed & provided here for the general public. As I have been suffering from tinnitus for the past year, fibromyalgia, depression and other conditions for many years previous, I believe this could a major cause of my health challenges. Since I have lived in a 3rd floor apartment for 16 years opposite hydro-electric lines at the same level, have used cellular phones since 1988 and have been exposed to everything else in this metropolitan city, I hope it is not too late to reverse the damage and risks for cancer, diabetes, Alzheimer’s etc. I have bookmarked your site and tweeted your link to anyone else who should read about EMF pollution and the danger ~ and will be protecting myself with GS filters for every single electrical outlet at home. BTW, when our TVs were switched from analog to digital, I bought a new digital screen with large (outside) antenna which was “temporarily” kept inside my bedroom window for 2 mths. A week ago, I realized my tinnitus getting worse, blurry vision, itchy forehead, extreme dry mouth & greater fatigue than before. That was so telling that I moved the antenna OUTSIDE, pointing upwards & away from the bldg and actually feel a difference in just 48 hours (ie: sleeping 4 hrs straight for the first time in months). I hope I haven’t caused irreversible damage to my brain but I am grateful for your valuable information, especially since those medical “experts” have not been very helpful beyond a diagnosis, including causes, treatment, prognosis or protection. So it pays for us to be our own best advocates, when it comes to our health and well being. Thank you also for your free newsletter which I will share with friends and colleagues. It sounds like the power lines and digital TV antenna exposure have a lot to answer for but its impossible to know what might have caused any illness because its usually a combination of things. No matter, just focus on what you can do to put things right. I believe disease is reversible and you can get better – that’s my own personal experience with electrosensitivity. You need to reduce your exposure to emfs from all sources (the GS filters are a good start)all the while working on improving your health in other ways. If you’ve subscribed to my newsletter you will get information on this. We live in a duplex (so we share one part of our house with our neighbors). Our neighbors have solar plates on their roof which cause high level of dirty electricity during the noon hours. We measured the dirty electricity and found out that indeed in the noons of sunny days the reading can reach to 800. The rest of the day is around 150-200. We are now using gs filter which reduced the reading to 35-45, but I keep thinking that the dirty electricity can reach to our house through the shared walls which we share with our neighbors. Could you please let me know what is your opinion in this matter? It’s not through the walls that dirty electricity can be transmitted it’s through the wiring principally. What counts is the proximity, obviously these neighbors are very close so it seems you are being affected. You can talk to them about it, take your meter round and show them, maybe print-out this page so they can see for themselves what the dangers are – they can talk with the company that installed the solar panels to see if they have a solution. Maybe they will be encouraged to install some filters at their end, failing that you can just plug in an extra filter or two in your home to get back down to safe levels. I was diagnosed with MS in 2001. For the next 6-7 years I was pretty sick, having a bad relapsing – remitting Multiple Sclerosis condition and having moved to an area on the north side of Sydney, next to a Railway Line, 3 TV Stations and plenty of Mobile Tower booster stations, it became worse. Eveything I did, in terms of rebuilding my immune system, stopping free radical damage with nutrition and other things worked, and then only temporarily. Thank you for sharing your story Stephen. About four months ago I started investigating what is going on with these Smart Meters. So I came across of allot of information (including your website which is very educational and easy to follow) which I didn’t know anything about before. So I am studying very hard to learn more and more about these very harmful EMFs. Lately I bought a GS meter and filters and I was going to buy some more for my son who is works in a office and my daughter who doesn’t live at home any longer. I haven’t bought them yet as I came across this website. (Which I think is very informative). Under the heading “Wideband Emission” the author is saying that unscrupulous marketers are selling “filters” which can do more bad than good. I wonder what is going on with this, and what the facts are. I would appreciate if you have a look at this article and give me your opinion on this topic. The article does not challenge my thinking on the subject: installing filters without making any attempt to measure if filters are needed is not advisable. Measure first with a GS meter, then install filters as and only if necessary – this is important.